A few weeks ago Shaikoten of YEDS fame started 32in24’s 11th series. It is the first (and I’m going to guess only) 32in24 session held this year. And fittingly enough it is the 11th in the series for 2011. The news of a new 32in24 session kinda took me by surprise. At the time I was feeling creatively stagnant and I wasn’t planning on doing more than 1 map. I love doing 32in24 though, so even though I wasn’t feeling it, I was going to make sure that I got at least one map in. 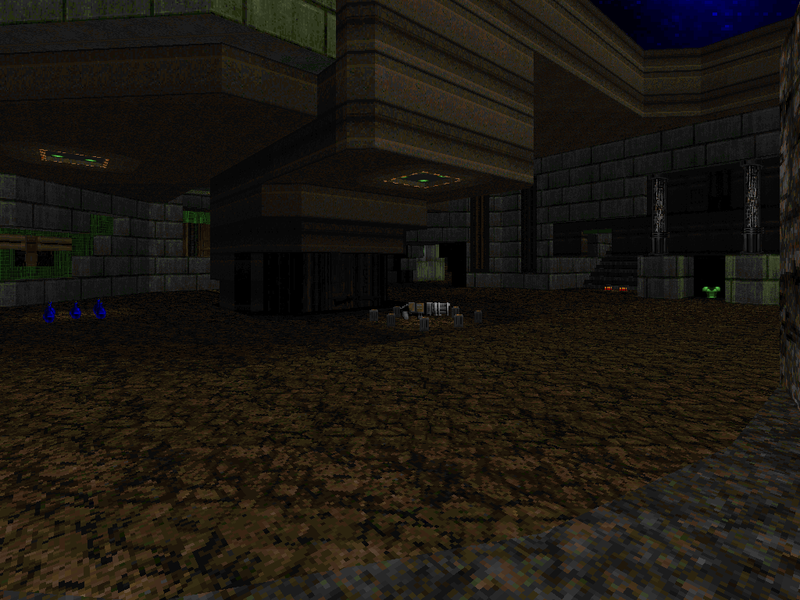 For those now in the know, the goal behind 32in24 is to create a Doom megawad (32 maps or more) in a span of 24 hours set within a certain theme. 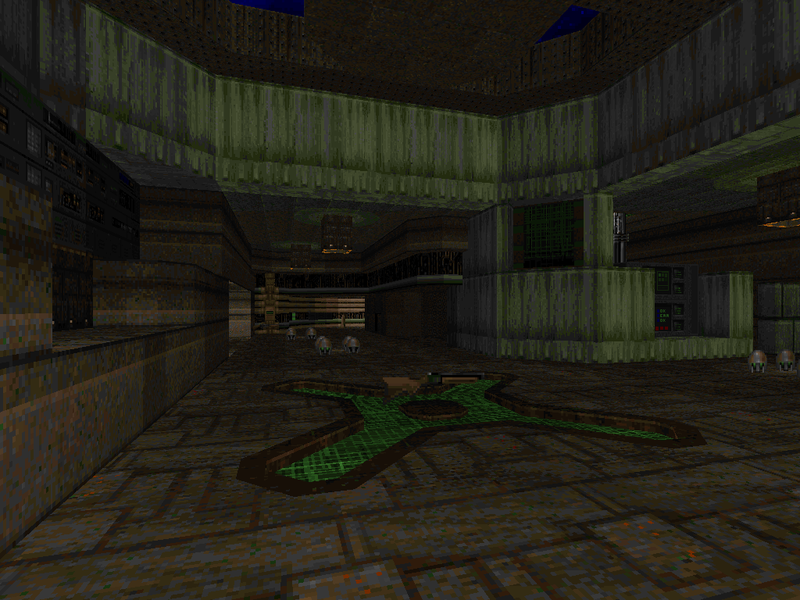 The theme for this 32in24 was to create deathmatch maps suitable for populations between 4-8 players. 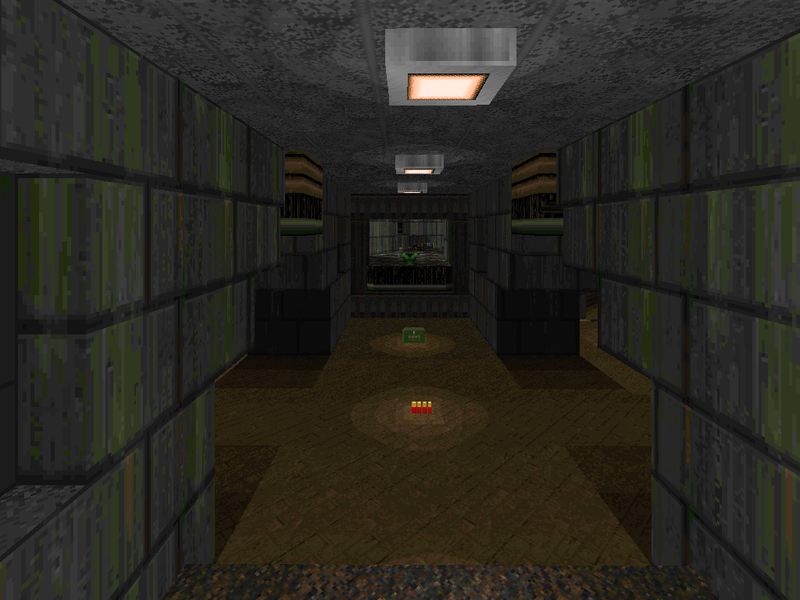 The CC4 texture resource was provided so mappers weren’t limited to stock textures only. 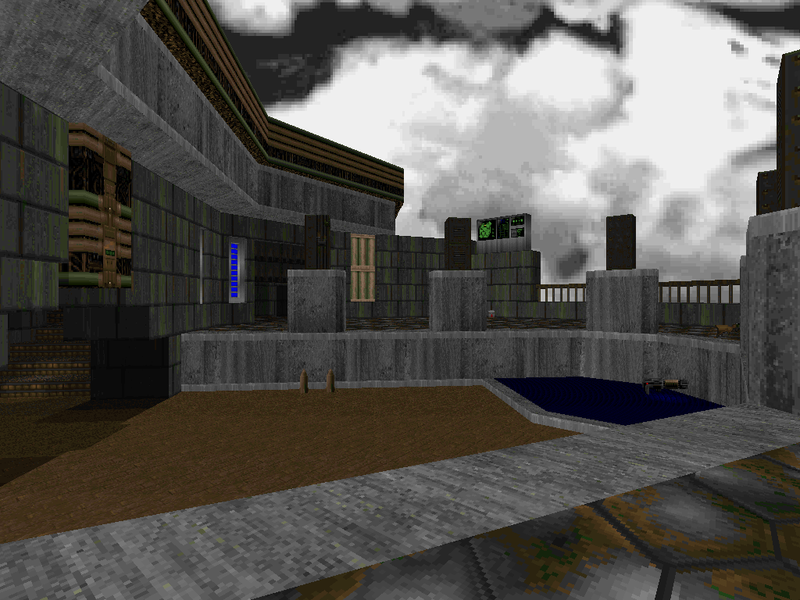 Additionally there was a twist; once all of the maps were completed and compiled into a wad, they would then be tested vigorously in an session of Odamex Monday Nitro (and funnily enough again, this was the 11th session of OMN!). Once feedback was given from that session, the maps would be updated and then played for a final time in one final Odamex Monday Nitro. Overall the plan seemed to work very well, and it’s very possible that future 32in24’s will be partnering up with the Odamex Monday Nitro team to help produce even better playing deathmatch maps! So as I said, this 32in24 session’s announcement took me by surprise. I happened to make a total of 3 complete maps, even though initially I was feeling pretty awful about getting even a single map completed. I made one bare layout, which I ditched because it turned out too big and complex. I think started work on a second bare layout based off of a sketch I made earlier in the day, which I also eventually ditched. 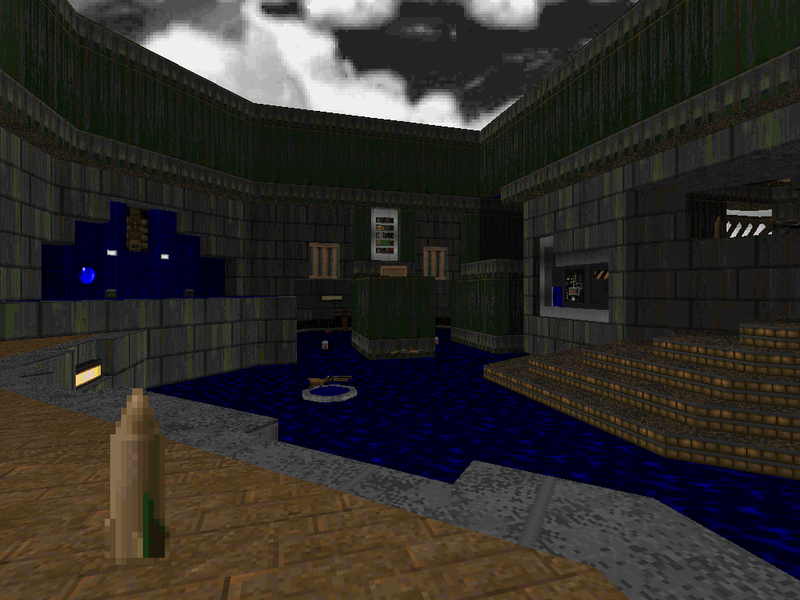 I then started work on a third map which I also made from a sketch earlier in the. This time I was able to complete it a few mere minutes before the deadline hit. Unfortunately I was busy a large chunk of the day so I didn’t get much of a chance to do more than that in the time allotted. However because I had two finished bare layouts, I was allowed to finish them up. And so I did! 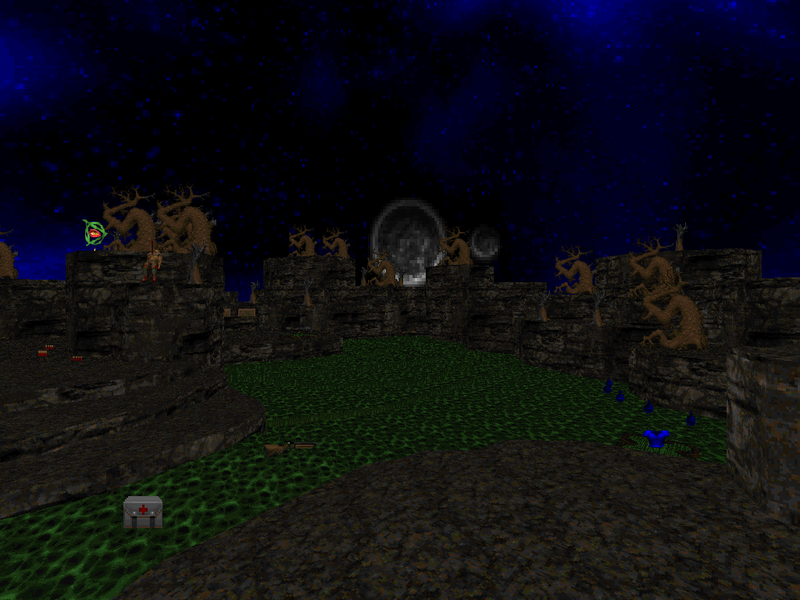 This map is called “Clay Pig 2: Gordo’s Revenge”. The name is a really silly in-joke from back in my adolescent days that I really don’t care to explain. 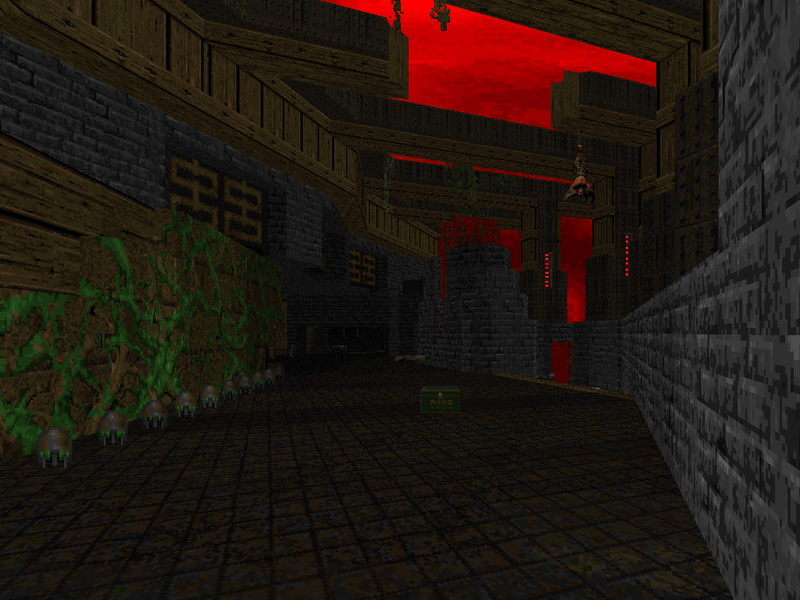 Anyways, this was the 3rd layout I started working on but the first map I finished. 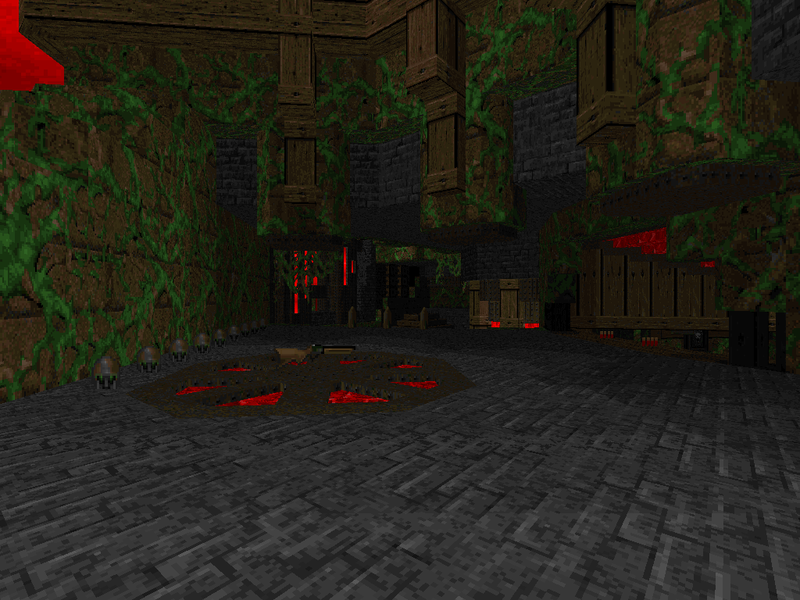 Actually it was the only map I finished before the deadline hit, heh. 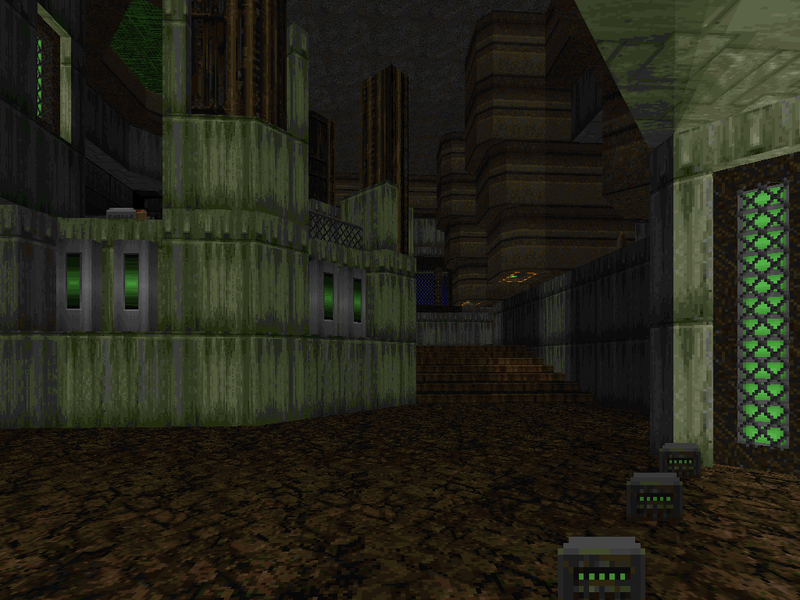 I didn’t notice that we had the CC4 texture resource to work with when I started working, so it uses Doom 2 stock textures only. Even so, I like how it came out visually. The layout came out pretty good too I think, and it fits 4-8 players comfortably. The second map I finished the was the first layout I started working on when the session started. This one is called “Ipecac”. After the deadline hit, TGH (the wad’s compiler) added both of my bare layouts to the main wad mistakenly. When I told him about it, he said it would be cool if I quickly finished them so they could be included in the main wad. The testing session wasn’t for another few days, so I decided that I was going to try and speed-detail the map as well as do the regular gameplay additions. However what started as a speed-detailing job turned into an all-nighter, full-stop detail job. It felt like Greenwar II all over again . The original layout was too big, so I cut off some fat, made it flow a little nicer, and detailed the living crap out of it. And I think it turned out great! The brown rest/green motif is pretty cool looking, especially against the starry blue night sky. 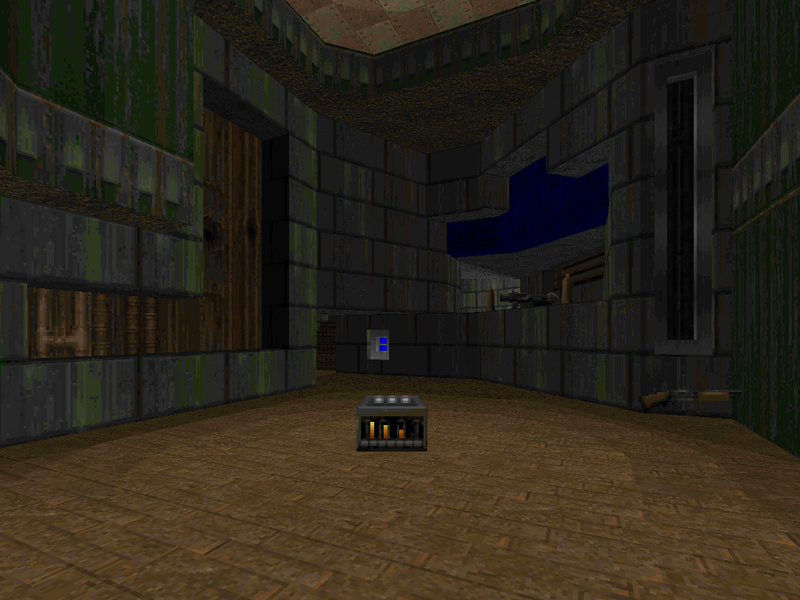 The map can easily accommodate 8-12 players, a little larger than the original specifications called for. 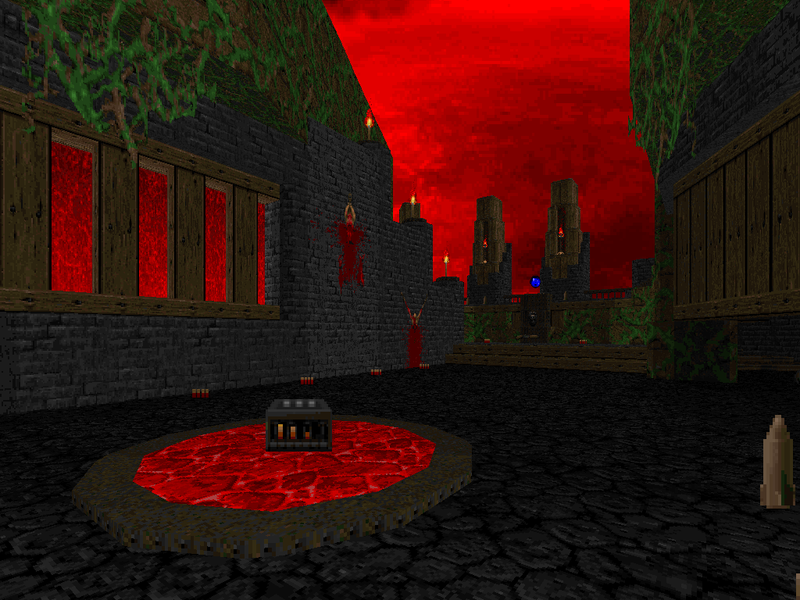 The third and final map I did was the second layout I made during the project’s main 24 hour mapping cycle. It’s called “Radish Juice”. I started on this one a couple of days before the testing deadline hit and finished the day of the first round of testing. 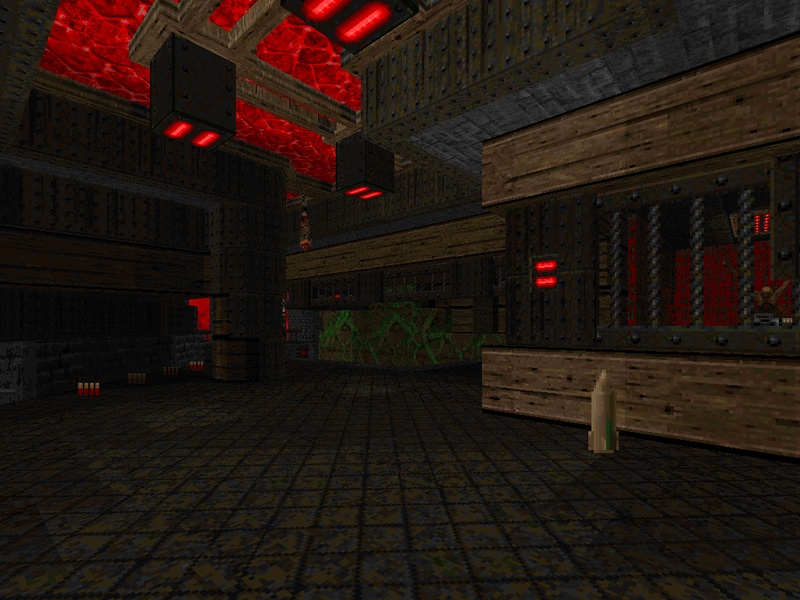 Out of the three maps I did, I think this one is my favorite in terms of the layout, gameplay, and detailing done. I was feeling in a bloody, gothic mood and the name “Radish Juice” meant I had an excuse to use a few blood/gore textures. The map uses a combination of different colors – green, grey, brown, red, all in a variety of materials to bring about an interesting visual piece. I spent some extra time on this one making sure the detail and gameplay was up to snuff and I think it paid off in the end. As always, I had a blast this 32in24 and the work put in was great, as always! The end result surprised me a bit since I had little hope of getting one map submitted, yet I was able to do three and have them detailed up fairly nice on top of that. This session was also the first time I got a chance to play some Odamex, which was…interesting, so say the least. I only got to play for an hour or two, and most of that time was on the server that was abandoned. When I got to the main server where everyone was playing, I played for about 30 minutes only to have it completely crash on me. And it locked me out of the server from that point on for some reason . I heard that the second session went much smoother, though I wasn’t around to join that one. Be sure to give 32in24-11 a download here! I’ll add the /idgames link once it’s up.